Chicago is rich in history, and rich in historic loft living options. Whatever style of historic loft you prefer we're sure we can help you find it. We have timber lofts, high-rise lofts, warehouse lofts... just about anything you could want. Below is a sampling of available Chicago lofts currently for sale. 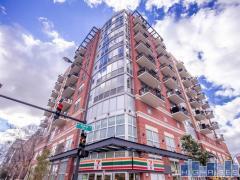 You can also search lofts by neighborhood by visiting our Lincoln Park Lofts page, River North Lofts page, South Loop Lofts page, Lakeshore East Lofts page, Streeterville Lofts page, West Loop Lofts page, or Lakeview Lofts page. For a complete list, or to discuss your individual preferences, contact us at 773-365-9270. We'd love to help you find the perfect loft for you!